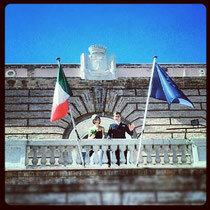 Italy and Australia unite in Amandola!! 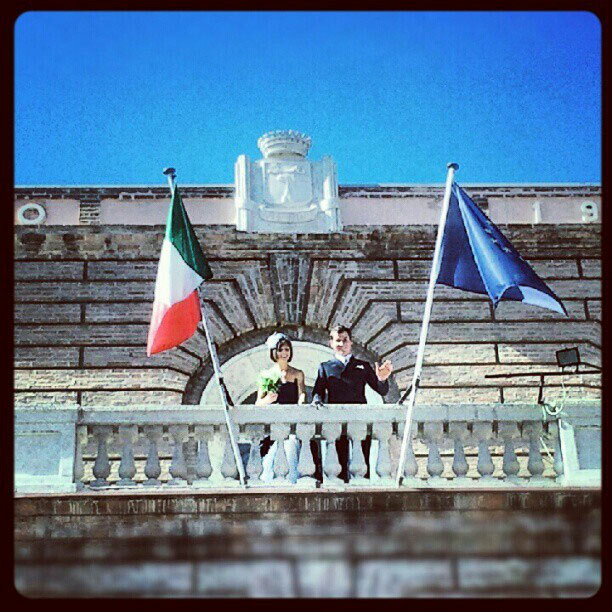 Man & wife from the balcony of the Comune overlooking Piazza Risorgimento. I recently saw the culmination of my first successful attempt at matchmaking. Actually, I wasn't matchmaking when I introduced Ryan to Alessia whilst he was staying with us in November, 2010. It was more to find him some young company who shared his passion for sport. In any case, Ryan and Alessia were married with much joy and happiness in a civil ceremony in the Comune of Amandola last Saturday.